Beto Rangel is a role model. He is intelligent, optimistic, energetic, engaging and “motivated by success.” At age 15, this young man who, as he explains, “came from nothing,” looked around his environment and decided he did not want the kind of life that he saw being lived there; he wanted more. It should be no surprise, then, that he would be the first member of his family to go to–and graduate from–college. Beto Rangel also loves cars. 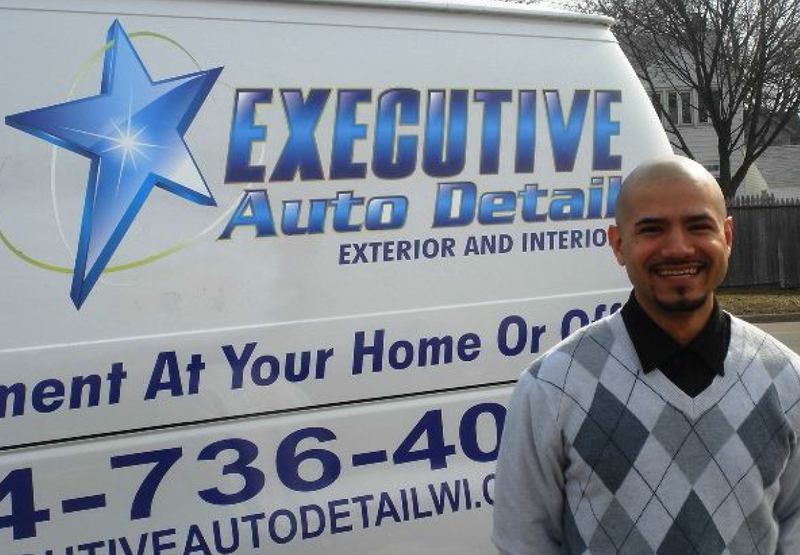 As a UWM student looking for means to defray college costs, Beto combined his strengths and his love and started an auto detailing business that successfully carried him through those years and in 2009 he earned his degree in Business Administration. Timing is everything. Graduating and hitting the job market in the midst of an economic downturn the likes of which had not been seen since the Great Depression was not ideal. He may have been unable to find a job but he was not deterred. Even as a boy, Beto had a deep understanding that he “would persevere no matter what” and he had always wanted to be his own boss. 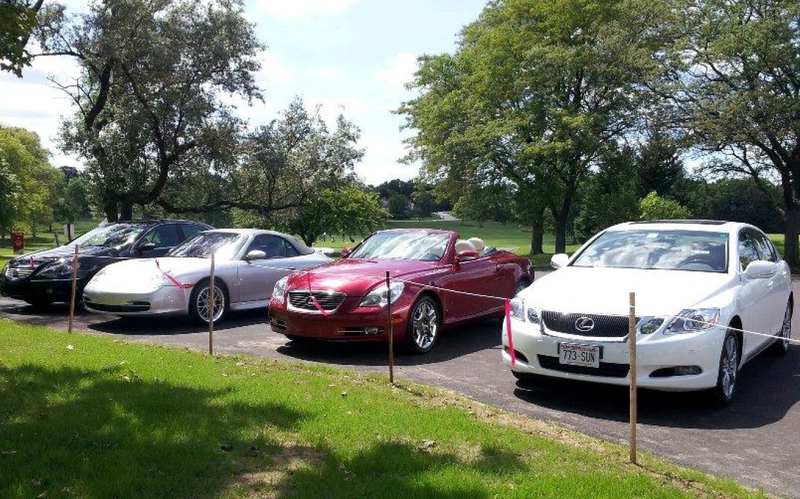 His thoughts kept returning to his auto detailing business and in 2011, he began researching and when he saw no other mobile detailing operations in Milwaukee– only brick and mortar, he decided to make it official. Beto understands the power of networking and business relationships as well as the value of mentoring and he put great effort into getting himself established. As his outreach expanded, he contacted SCORE and was paired with volunteer mentor Carole , who was impressed with his work ethic and enthusiasm. Carole supplied helpful contact information as well as solid marketing input and Executive Auto Detail took off in 2012. The fully equipped mobile auto detail and car wash service provider caters to career-oriented clients with high expectations and demanding schedules. Beto plans to attend the SCORE business plan workshop series this year as soon as he can squeeze it into his busy calendar. He had scheduled it early this year but had to cancel when Chrysler tapped his business to handle all their vehicles at the annual Milwaukee Auto Show. That kicked 2014 off with a bang and because of the relationships he has developed with area golf courses, Beto expects the year to continue the same way. Executive Auto Detail has grown as a result of word-of-mouth from happy clients. They appreciate the level of service as well as the convenience of having their vehicles cared for while they are at home, at the office or playing golf. Beto continues making connections that will offer more such opportunities. Starting his business without a structural overhead was a big plus for this entrepreneur and as the mobile business grows he will look for a brick and mortar location that will allow for expansion. He describes himself as “a helpful person” and looks forward to being able to create more local jobs. Sounds like the profile of a future SCORE volunteer! Beto understands the power of networking and business relationships as well as the value of mentoring and he put great effort into getting himself established. As his outreach expanded, he contacted SCORE and was paired with volunteer mentor Carole Kauss , who was impressed with his work ethic and enthusiasm. Carole supplied helpful contact information as well as solid marketing input and Executive Auto Detail took off in 2012. The fully equipped mobile auto detail and car wash service provider caters to career-oriented clients with high expectations and demanding schedules.